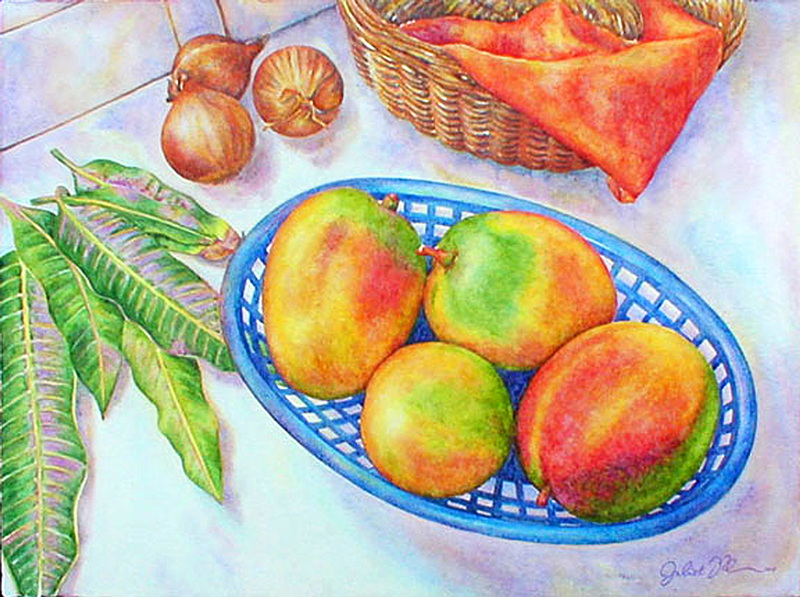 I love the colors of ripe mangoes and one day I was handed a tray of them and of course my next thought was that I had better do something special with these before they get eaten! The mango leaves also added a finishing touch. I did this painting in St. Mary, Jamaica. This is a limited edition of 250 giclée prints on watercolor paper. The original painting has been sold.